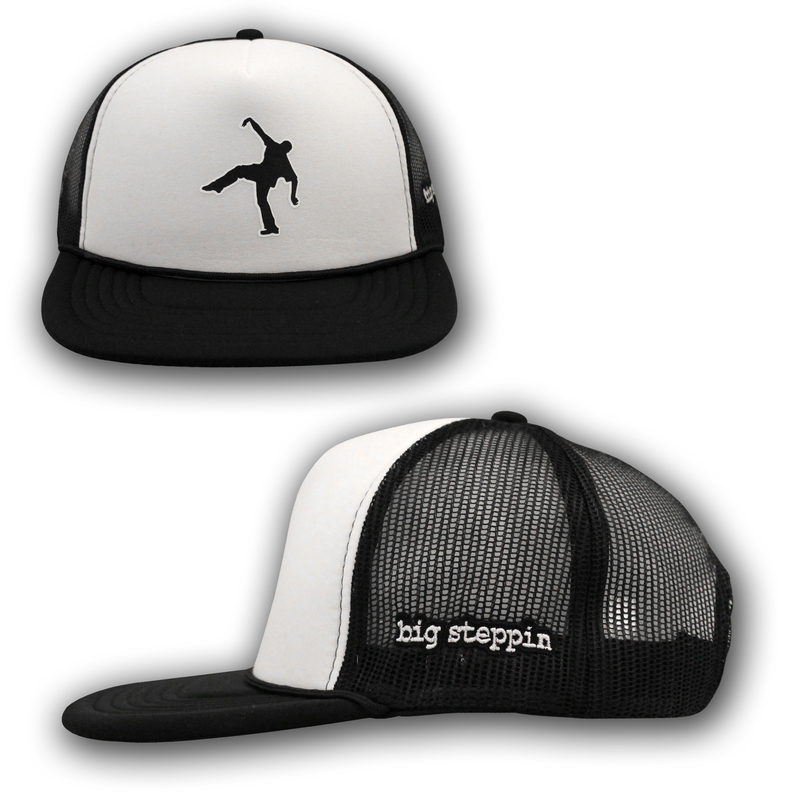 Big Steppin Trucker Hat! it is Unisex and one-size-fits all. 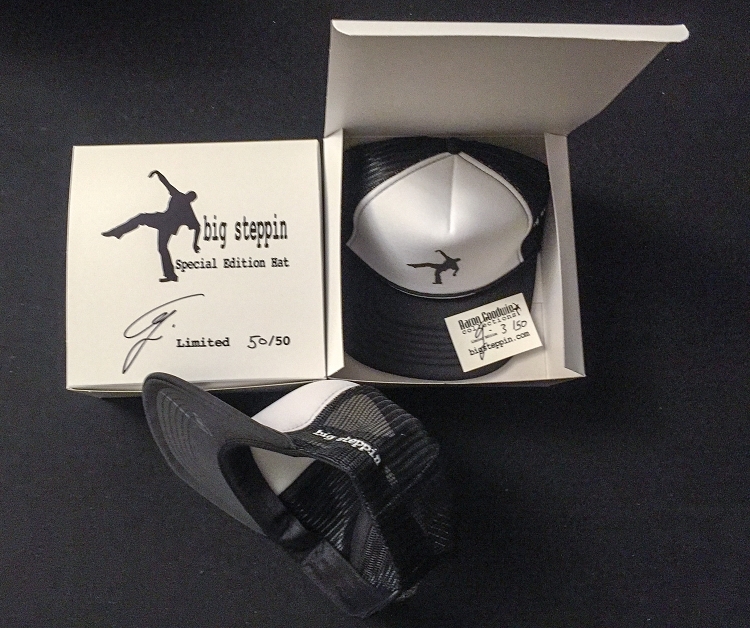 black mesh hat with white foam front with logo print and big steppin words embroidered on the left side. its a soft structured hat with adjustable snap back. get one while you can!